There was confusion in a Lagos community yesterday when a lady suddenly collapsed. The incident happened in front of the Zenith bank branch along Admiralty Road, Lekki Phase I, Lagos. 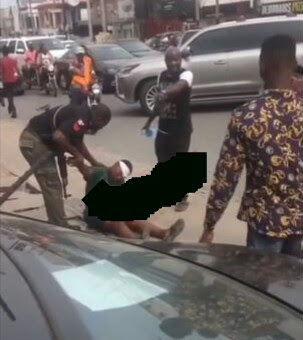 According to an eyewitness, the policeman who was attached to the Zenith bank, tried resuscitating the woman, but she remained unconscious as at the time he left the bank.